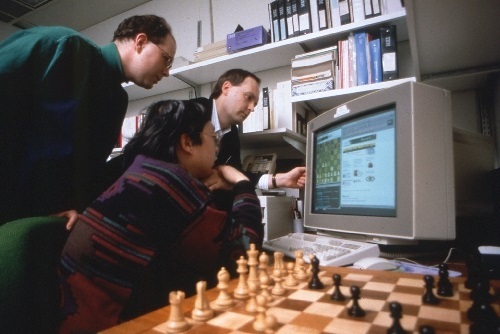 the IBM sponsored successor of the chess entity Deep Thought. The project initially started in 1985 as ChipTest at Carnegie Mellon University by the computer science doctoral students Feng-hsiung Hsu and Thomas Anantharaman. Murray Campbell, former co-developer of HiTech, joined the ChipTest team a few months later. The program was named Deep Thought after the fictional computer of the same name from The Hitchhiker's Guide to the Galaxy. Hsu and Campbell joined IBM in 1989, Deep Blue was developed out of this. The name is a play on Deep Thought and Big Blue, IBM's nickname. The declared target was to become the strongest chess entity ever and to beat the human world champion, which eventually happened in 1997 versus Garry Kasparov, winning the $100,000 Fredkin prize, awarded at the AAAI Conference in Providence, Rhode Island. Deep Blue Prototype consists of an IBM RS/6000 workstation with 14 chess search engines as slave processors. 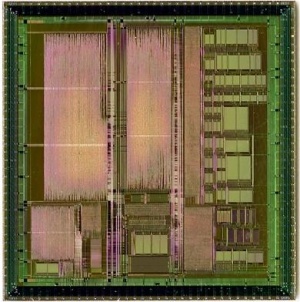 Each processor contains a VLSI chip for move generation, as well as additional hardware for search and evaluation. Each Deep Thought 2 processor searches about 500,000 positions per second standalone, or about 400,000 positions per second as a slave processor. (This is about 1/10th of the projected speed of the Deep Blue single-processor currently in fabrication.) The 14-processor Deep Thought 2 typically searches between 3 and 5 million positions per second. When conducting a search, the search tree near the root position is processed on the host workstation, and includes selective search extension algorithms such as singular extensions. The deepest nodes in the search tree are handled by the slave search engines which usually do 4-ply alpha-beta searches. The 1997 Deep Blue system was based on an IBM RS/6000 SP supercomputer, using 30 workstation nodes of PowerPC processors controlling 16 chess chips each, distributed over two Micro Channel boards. A chess chip features of a full-fledged chess machine on its own, along with move generator, a smart move stack, hardware evaluation function, and an alpha-beta hardware search controller. The search occurs in parallel on two levels, one distributed over the IBM RS/6000 SP switching network and the other over the Micro Channel bus inside a workstation node. A master workstation node first starts the software search exclusively, to distribute work to all 30 workstation nodes only at a certain depth (i.e. 4 plies). After generation an appropriate number of childs and grandchilds etc., the software search per node utilize the 16 chess chips to search the final four plies plus quiescence search in hardware. Since each chess chip could search 2 to 2.5 million nodes per second, the system speed reached about one billion nps (480 chips). During the 1997 match, the software search extended the search to about 40 plies along the forcing lines, even though the nonextended search reached only about 12 plies . Deep Blue Prototype missed the expected win at the WCCC 1995 by losing the decisive match in round 5 against Fritz after king castling into Fritz's half open g-file. 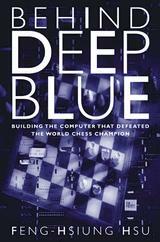 Deep Blue was the first machine to win a chess game against a reigning world champion Garry Kasparov under regular time controls. This first win occurred on February 10, 1996, Game 1. However, Kasparov won three games and drew two of the following games, beating Deep Blue by a score of 4–2. 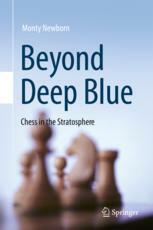 In 1997 Deep Blue won the rematch against Kasparov. He did not recover after the shock by Deep Blues' play in game 2. Kasparov resigned a possibly drawn position, since he missed a deep tricky perpetual check, while he wrongly was confident the machine would not have blundered to allow him to draw. In the final decisive game 6 Kasparov was rather indisposed and blundered in the early opening. This page was last edited on 6 December 2018, at 09:16.